Hello, Bloodborne fans. Thanks to the tremendous support from all of you, the passionate Bloodborne community, we are very proud to announce that Bloodborne has now sold through more than 2 million* units worldwide. Starting November 24th, download the Bloodborne DLC expansion The Old Hunters for $19.99 and experience the nightmare of the hunters who once guarded Byrgenwerth’s darkest secrets. 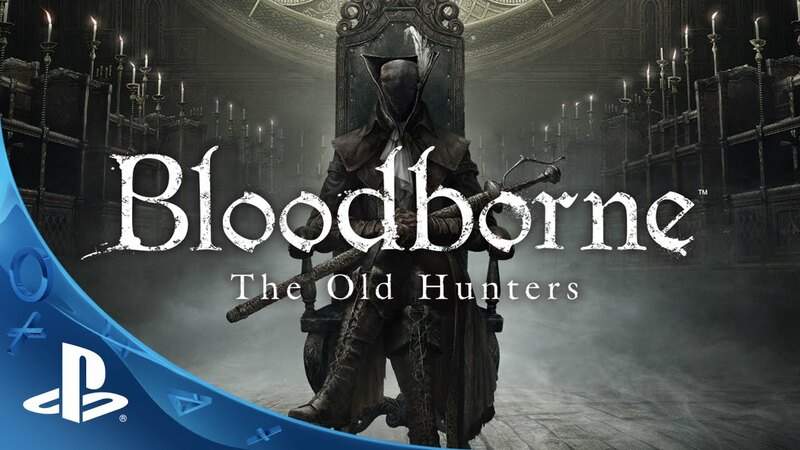 With new story details, learn the tale of hunters who once made Yharnam their hunting grounds, meet new NPCs, and discover another side of the history and world of Bloodborne. Here’s a brief glimpse of just some of what lies in store for you when The Old Hunters launches on November 24th, including Simon’s Bowblade weapon, and new boss enemy Ludwig. 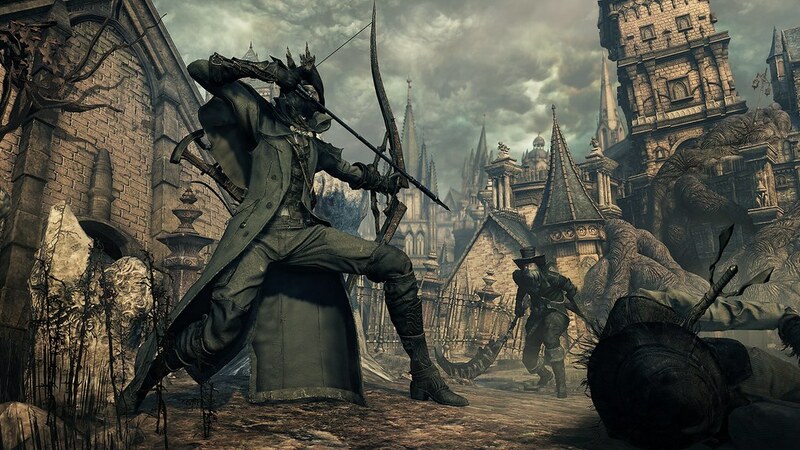 Stay tuned for more about Bloodborne and The Old Hunters expansion here on PlayStation.Blog. I hope that the creators add more opportunities to upgrade weapons to +10 or maybe even go beyond that because with all the new weapons it will be hard or impossible to be able to get them all up to that level unless you play through the game for as many weapons there are. And really can’t wait to for more BB. Will there be a retail disc for the DLC, by itself (not packaged with the original game)? There will not be a retail disc version of The Old Hunters expansion. Thank you for the question! Yeah there will be. The Old Hunters Edition on December Third. Congrats on 2+ Million guys! Game really deserves more! I’ll be buying the Expansion Day 1 as I’ve been itching for more Bloodborne since I earned the Platinum trophy in it. Please say it has new trophies as well. I am hoping Bloodborne expansion gets trophies this time around. The game deserves it because it’s so addictive and I think people won’t mind the extra achievements. Why the US version is more expensive than the EU? It is, the DLC is €14.99. The price is actually cheaper in the UK for once. £11.99 is roughly $18. It’s actually the opposite. €14.99 = $23.34 USD. EU is more expensive than US. $20? That is steep! I am going to pass on that price. Out of all the Souls games, Bloodborne is my least favorite anyways. You’re silly. This an Expansion Pack, not simply DLC. Don’t forget, the entire Crowns series for DS2 was 30 bucks. I know I’ll be buying. Did you see that bow??? When will the preorder be up on PSN? Wow, over 2 million! That’s fantastic for a new, exclusive IP in this niche genre. Congratulations to Playstation and FromSoft. FromSoft, you make me so mad sometimes and that only deepens my love of your games. Yes, of course I’ll buy this DLC, day 1 or better, pre-order, pre-load. Will the limited edition be available in NA? Thank you! Does anyone know if this will be the only expansion for Bloodborne? Holy crap! I’m ready. Gotta keep them trophies at 100%. I have been waiting patiently for an expansion from Bloodborne. Soon, I will begin the hunt again. Thank You! Is the expansion standalone, or is the main game required? Is it safe to assume that the US will also be getting a retail release a week or so later? Pretty much assume the limited edition retail version will come out in Japan and the UK. But it would be nice if it releases in the US also. Been waiting 4 this one !! Thank you, Thank you ! I see at least 5 new weapons, 4 new bosses and that spell!! Plus a MASSIVE new area to explore… You buys really seem to have addressed the communities negative points in lack of variety in the game (not that I complained about it). Now lets hope there’s a rune somewhere that’ll half the damage from the Evelyn or some armour designed to deflect those godawful bloodtinge chickage unsheathe attacks which many players keep spamming. Oh man…time to fear the old blood, once again. Between this, Destiny’s expansion and Vanillaware’s new game announcement, today is turning out to be a hell of a day. Please tell me we can purchase the OST to this DLC. Absolutely love the original OST! That’s what I’m wondering too. I love the music in this trailer. Ugh, I just drooled all over my keyboard. Trailer is cool, but anyway to re-release it with better audio? You can barely hear/understand the people talking because of the music volume. I hope Micholash is back :3 Grant us eyes!! Sigh…I guess I have to go and beat the game now…I gave up when I got to those Fing Bell Ladies, where if they ring their bell, enemies respawn. That was 2-3 days of many tissues and tears. :( Looking forward to more tears. You can do it! There is a way to go around some of those maidens but your priority should be getting rid of them do you can proceed unhindered. Bloodborne tore me asunder and I enjoyed every minute of it.. Very excited for this dlc… looks even more gruesome than before. I am so incredibly hyped for this expansion! I’m really excited for the new hammer weapon and the longsword/warpick combination! And that longbow ohhh… it all looks amazing, and let’s not forget the full blown beast mode with the beast claws! Also, that saw cleaver with the lightning effect, perhaps using bolt gems and fire gems on weapons will give us an awesome visual effect now? Super, super excited, can’t wait! I have so many new builds planned! Saw that coming,nice trailer and its really good to see the support for Bloodborne and damn!! 2 million?…hoou quite a lot.Congratulations the game sure deserves. I still don’t have Bloodborne but its a confirmed buy and of course…I’ll be getting the DLC too. Will the US get the Dec. 5 edition that includes both the expansion and original? Haven’t played Bloodborne yet and would like to get it all in one purchase. Very excited. Tell me — yes. UK and Japan only most likely will get the limited edition. But US may get it also. 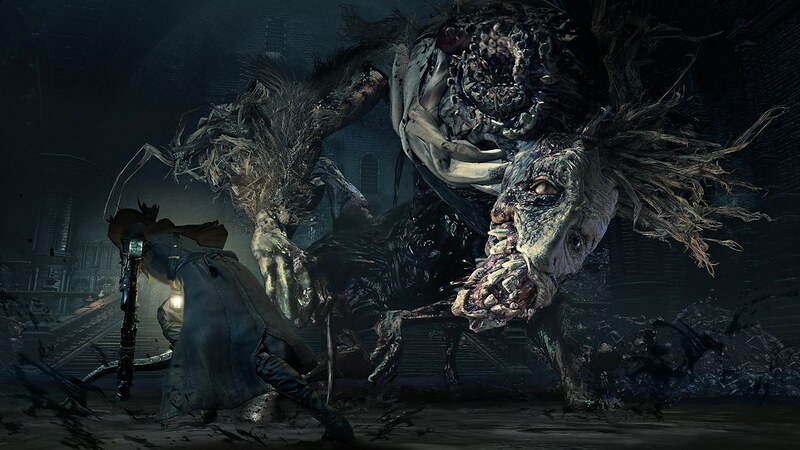 Absolutely loved Bloodborne, this will definitely be one of the few DLC’s I will ever purchase! I have one question though, I own the Asian version of the game, but I use a US PSN account. Will this DLC be region locked? does ‘bloodborne old hunters’ edition announced at TGS mean it’s the only dlc that Bloodborne will get? like dark souls 1 definitive edition which includes the DLC artorias of the abyss… or are there more DLCs coming? Any word on if the expansion can only be accessed at a certain point in the game, similar to the previous Souls games? I wanna know to prepare for getting to a certain point in my next playthrough or not. …….I CANT BELIEVE THISSSSSS!!!!!!! WHEN I SAW THE TRAILER, I ALMOST CRIED TEARS OF JOYY!!!!! THIS JUST MADE UP MY MISERABLE DAY!!!! can’t wait to play it…this game is awesome!! !